My favorite Theme of the Month: Noizu, a very nicely designed Theme for Musicians, Bands etc. 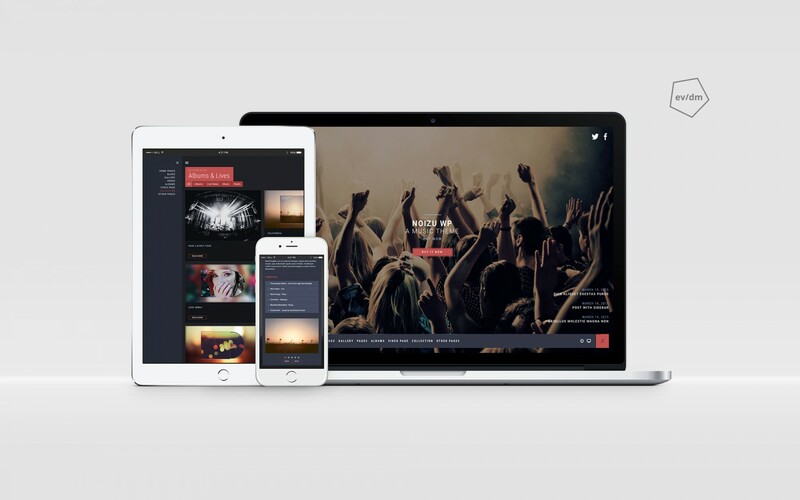 It features a very well designed responsive design and many other features that are quite useful for upcoming musicians. I especially like the animated Navigation/Music Player Bar at the bottom that lets you select background playing music from a playlist. Other features are a gorgeous fullscreen mode to browse the site in super size. The special Album Pages that allow you to put together Album art, playlists and music player is also awesome.